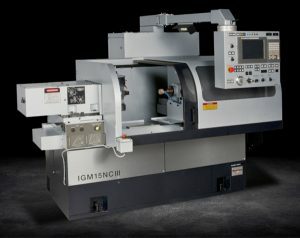 The IGM-15NCIII is Okamoto’s latest generation CNC I.D. Grinder. Rigid construction and premium components assure prolonged peak precision and long-term machine life. The new touch-screen CNC provides powerful control capabilities with ease of use. Touch Screen functionality combined with conversational input software.